Des and I were Godparents at a wedding on Wednesday. I think I am on my 6th already. Am I really that old? Though not to say that being a Godparent means you are old, but it does mean there is a certain amount of maturity and responsibility needed for such a task. Do I have that maturity and responsible nature? I suppose going on 9 years of marriage and going on 5 kids will give you that, though we do still have a long way to go in learning and loving. We always ask our prospective inaanaks to have a meal with us before their wedding day. To see where we can still help, get to know their wedding plans, give advice and our own experiences, and most especially to hear about the plans for the marriage. The wedding is just one day. It takes months to prepare, but will only last one day… or even just a few hours. The marriage will last forever. Though couples spend so much time preparing for that one day, we should never fail to prepare for what happens at that day – the start of the marriage of forever. The wedding will zip by so fast you will really have to depend on pictures to remember it, the marriage is something you work on EVERYDAY. Once you stop, the issues and problems will start creeping in, and next thing you know, you have a volcano of hurt erupting. You need to work on it every. single. day. 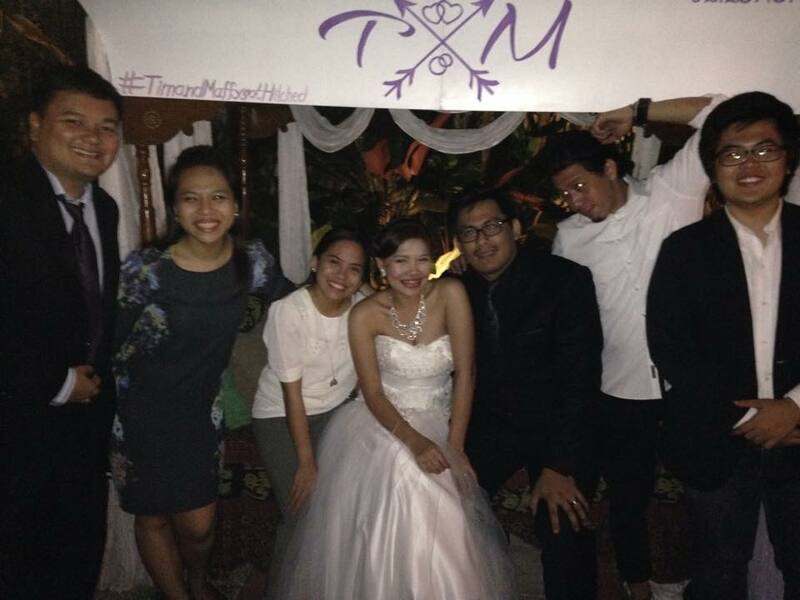 Congratulations Tim and Maffy! We will be here for you every step of the way.